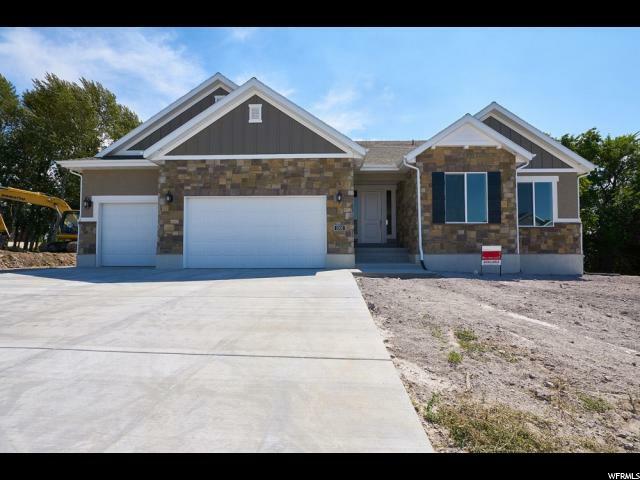 All Pleasant View homes currently listed for sale in Pleasant View as of 04/20/2019 are shown below. You can change the search criteria at any time by pressing the 'Change Search' button below. If you have any questions or you would like more information about any Pleasant View homes for sale or other Pleasant View real estate, please contact us and one of our knowledgeable Pleasant View REALTORS® would be pleased to assist you. 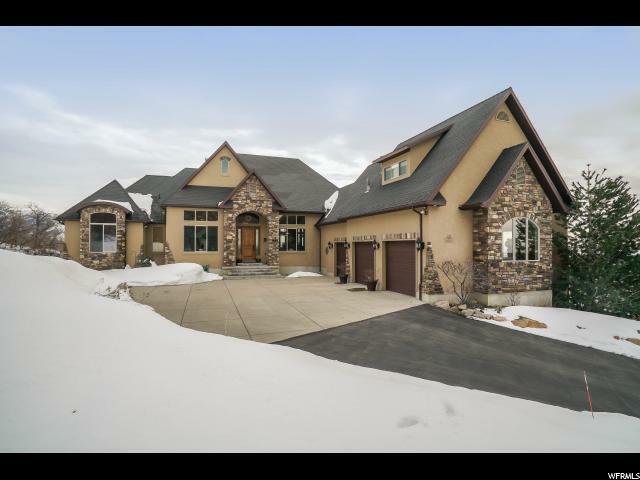 "Amazing custom home in a gated community of Pleasant View at the base of Ben Lomond Peak takes full advantage of the unmatched views of lake, mountains & valley that goes forever, even above a winter inversion. 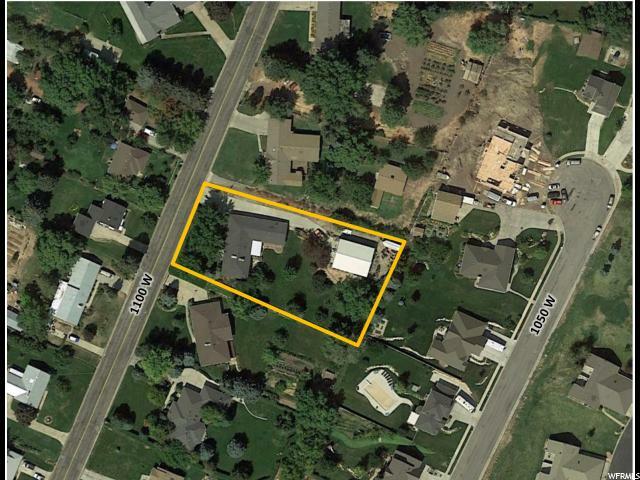 The 5 acre scrub oak covered lot provides total privacy so not even needing window coverings on the large windows. The home is built with the highest quality & beautiful materials using travertine & carved Hickory on floors, custom cabinets & granite throughout. The vaulted & 10 ft ceiling w/ 8 ft doors, beautiful beams & custom rock fireplaces give an openness that you'll love. The home theater's 100 inch screen, 7 zone surround sound & in-floor bass kicker make you feel you are in the movie! The large 3 car garage with cabinets, butcher block work counters & acid stained floors is perfect for the man. This is all protected by security cameras & in-ceiling sprinkler system. The landscaping has a waterfall, stream & pond on a circulating pump surrounded by scrub oak provides a coveted private serene yard. Excellent schools & minutes from world-class skiing, hiking, golfing & fishing. You'll love this luxury living! A green house is included in sale. Square footage figures are provided as a courtesy estimate only and were obtained from county records. Buyer is advised to obtain an independent measurement." "Beautiful neighborhood, Yard is pristine with a private pool. 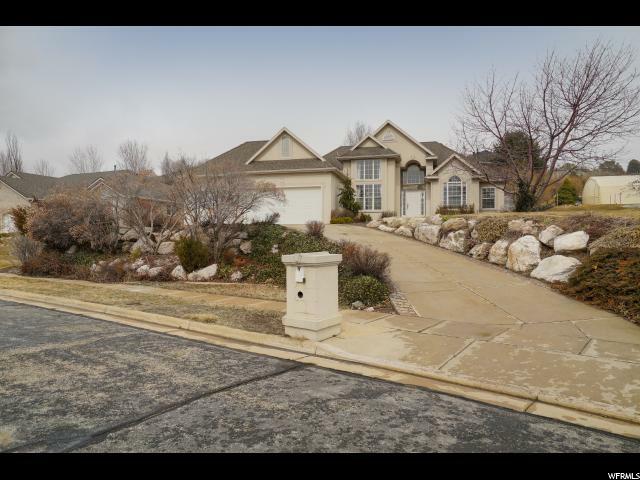 Basement has sports court, exercise and theater room, extra garage.The driveway/walks are heated. RV garage is oversized for any boat/trailer, other two garages are oversized.All floors controlled separately. There is a huge deck, pool bath, pergola area, garden boxes, dog run with a heated dog house.This house everything you can think of including an ice maker, drying cabinet, sound system, soft water, ect .. Seeing is believing ! Square footage figures are provided as a courtesy estimate only. Buyer is advised to obtain an independent measurement." "Enter through the front door to a totally open, vaulted ceiling great room with two-story floor to ceiling glass with spectacular views over Pleasant View. Heated flat driveway, impressive kitchen and granite throughout. Easy front entrance with two bedrooms on the main make this home ideal for the luxury empty nester. Commercial type building with a breezeway connecting the attached 2 bedroom 2 bath apartment. Huge rooms with soaring vaults and tons of light through an abundance of windows and views. Two-story waterfall and covered patio complete the luxury living. Such a custom quality home is hard to find. So much for so little - Hurry! " "YOUR new home was a Previous Parade of Homes and while Beautiful and over 6,000 sq ft you will feel comfortable in every room! 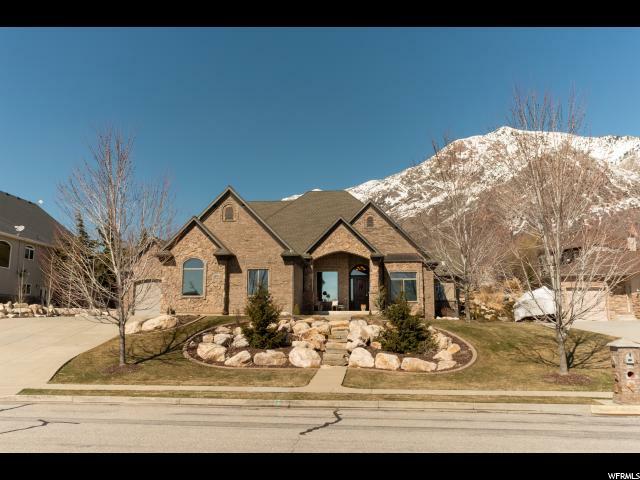 Amazing view of the mountains and valley and You won't believe all the extras that this home has! Spacious rooms, extra tall ceilings and windows, comfortable radiant heating, and beautiful stonework. Garage stays a warm 60 degrees all winter with the radiant heating and the perfect temperature during Summer! Unique details throughout the home include Tuscan inspired walls, elegant wainscoting, feature lighting, accent beams, and intricate wrought-iron railing as well as the builder bringing the outside in! Delight and entertain with the spacious theater room, covered back patio, and basement kitchenette. Hot tub in the back yard is in the perfect spot!! Theater equipment stays! 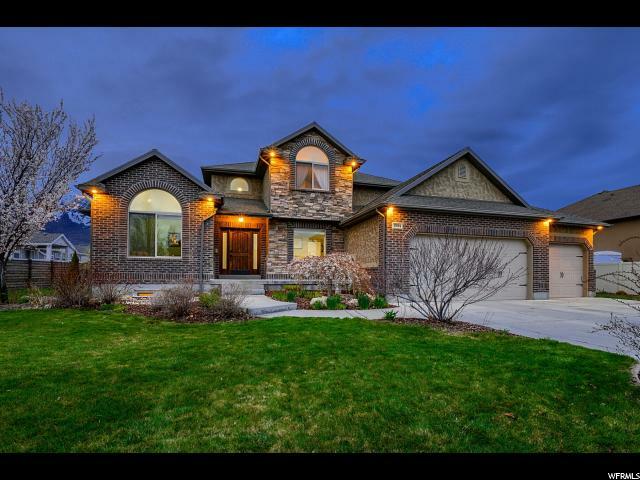 Don't miss this gorgeous home located on the North Bench overlooking Ogden! " 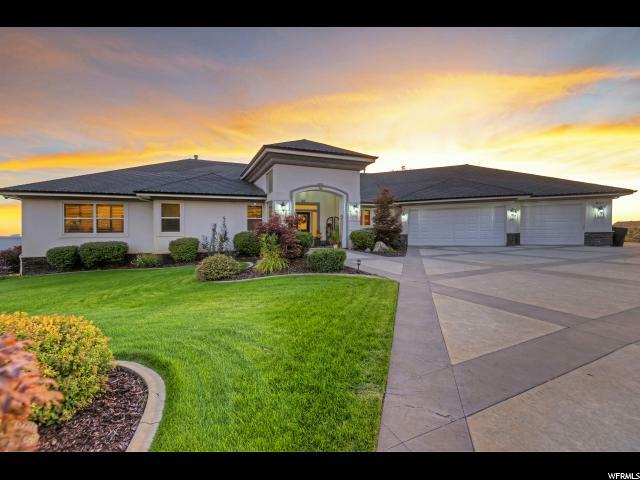 "Sweeping views of the valley and Wasatch mountains define this executive estate on the bench of Pleasant View! The grand foyer welcomes you into a stunning home of high ceilings, arches and beautiful finished carpentry! This home features 6 bedrooms, 4 bathrooms, a dedicated office (with a secret door to a hidden room) and a basement kitchen and exercise room. The main home has an attached 2-car garage, but the well-landscaped spacious lot also permitted the construction of a detached garage that accommodates an additional 4 cars. It is an incredible home! Square foot measurement per appraisal. Buyer and/or buyer's agent to verify all information. ALL offers to include a pre-approval letter or evidence of funds if offer is in cash. Appliances in basement kitchen as well as dryer/washer in basement to remain." "Brand new Murano Traditional home plan in the heart of Pleasant View! This home has all the features!!! Central Vac system, water softener, granite kitchen counters, 9 foot basement walls, finished basement space, covered deck, 3 car garage with 9x9 door on 3rd bay and exit door, can lighting, maple cabinets with trim, soft close/roll out drawers and hardware, stainless steel gas appliances, 2 tone paint, textured walls, beautiful tile accents in the bathrooms, large modern base and casing, hardwood flooring and much more!!!!" "Must use cash, SBA or commercial financing. 2 high efficiency furnaces, 2 separate stations. Suspended slab garage with workshop on lower level. Tons of parking, added attic insulation, newer A/C, new concrete, large deck, tractor shed with roll up door, brick fireplace, built in microwave, large laundry room with lots of cabinetry, walk in pantry, smooth top range, tongue and groove pine accents. Exquisite master with ensuite, jetted jacuzzi tub and separate regular tub, built in drawers. Basement family room plumbed for kitchenette. Well with 500 gallon underground storage tank, heated pump house, water filter system, peach & pear trees, fire pit, architectural shingle roof. Very well maintained home and perfect for a business. Walking distance to elementary and middle schools. " 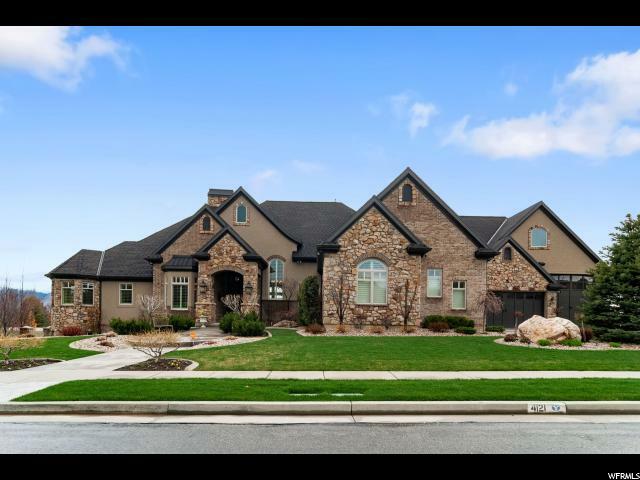 "Beautiful rambler Monterey European model home for sale! 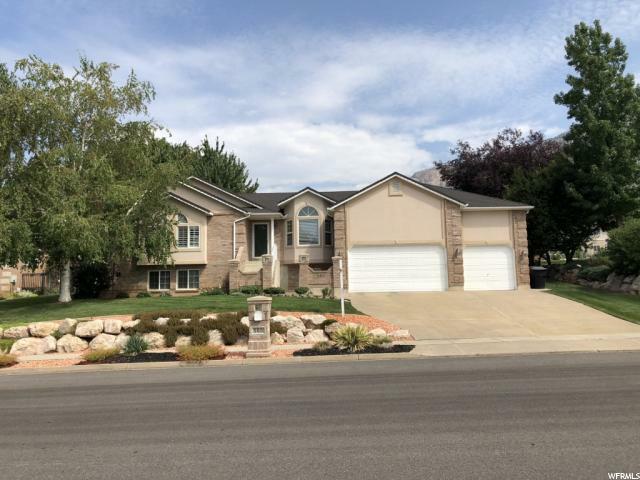 Great community with easy access to parks, Pineview, Willard Bay, Snow Basin and more! This home includes so many features such as spacious bay window in the master bedroom, and double deep 3 car garage with exit door, finished space in the basement, maple cabinets with trim and soft close and roll out drawers, quartz counters, adult height vanities, lockers in the mudroom for storage, stainless steel gas appliances, 2 tone paint, textured walls, tile accent surrounds in the bathrooms, laminate flooring and SO MUCH MORE! Come check it out today!" "Large lot, beautiful home, great community! Come see one of our best selling plans the Tivoli Traditional! This home features so many great amenities such as 9 foot basement walls, finished basement space with kitchenette, 3 car double deep garage with exit door and 9x9 bay doors, bay windows, can lighting, covered deck, maple cabinets with trim and hardware, stainless steel gas appliances, quartz counters, tile surrounds in bathrooms, brushed nickel hardware, 2 tone paint, textured walls, modern base and casing, hardwood flooring and so much more!!! A must see!!!" 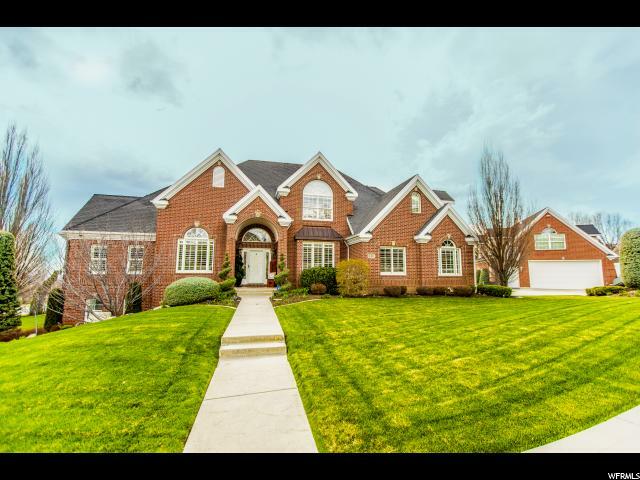 "Beautiful custom 2 story in Pleasant View! This amazing home has many custom features! Some of which include: Main level master bedroom, master bathroom, jetted tub, trace ceiling, rope/mood lighting, walk-in closet, 2 fire places, custom tile, custom cabinets, french doors, granite counter tops, central vacuum, water softener, 2 furnaces, 2 AC's, media room with surround sound, kitchenette, extra deep garage, walk out basement, and much more! Schedule your private showing today!" 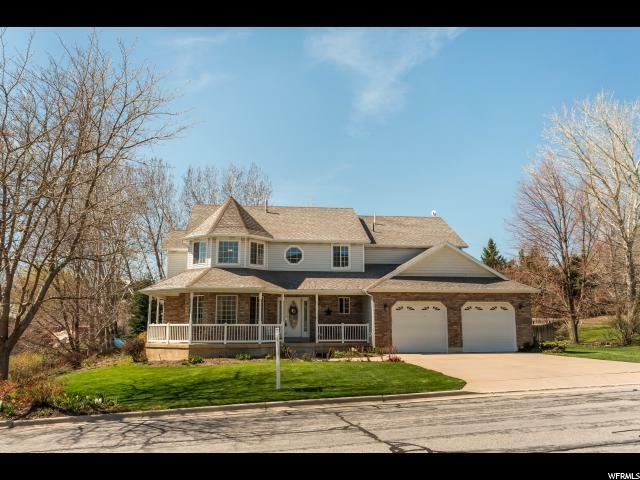 "Welcome home to your 6 bed rambler with a walk out basement and MIL suite located on a fenced corner lot in Pleasant View. The moment you walk in you'll notice and love all of the details and numerous upgrades in this home. Featuring hand scraped wood flooring, formal dining with vaulted ceilings, and brand new kitchen featuring every upgrade imaginable. (This kitchen is amazing!) 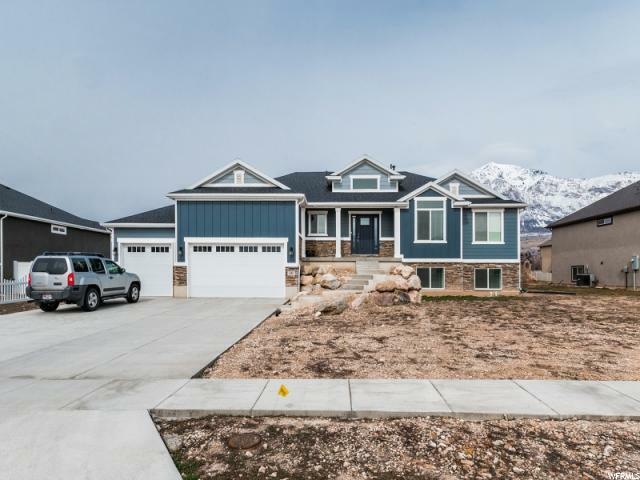 Featuring a huge granite island, double ovens, built-in refrigerator, and breakfast nook leading out to the deck with incredible mountain views-perfect for entertaining! The walkout daylight basement with full MIL suite features hardwood flooring, new carpeting, fireplace, 3 bedrooms, custom closets, 2nd kitchen with granite countertops, and 2nd laundry with tons of storage. Too many features to list, absolutely must see! " 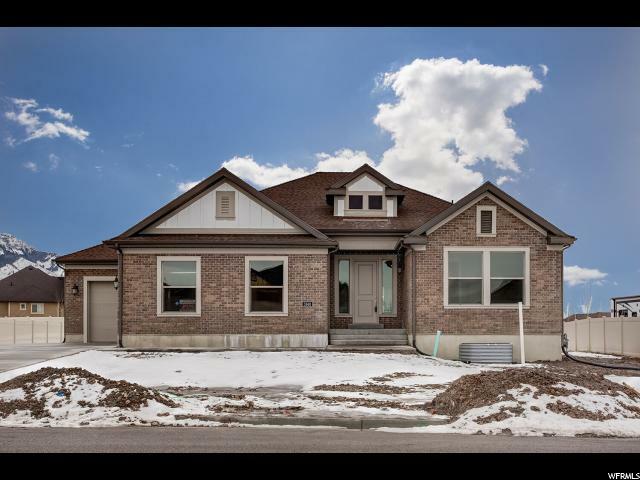 "Amazing brand new Hamilton Traditional II home!!! Large lot in a great community! Features include a double deep 3 car garage with exit door, central vac rough in system, maple cabinets with trim, soft close & rollout drawers and hardware, stainless steel gas appliances, quartz kitchen counters, 2 tone paint, textured walls, small modern base and casing, laminate flooring and much, much more! " 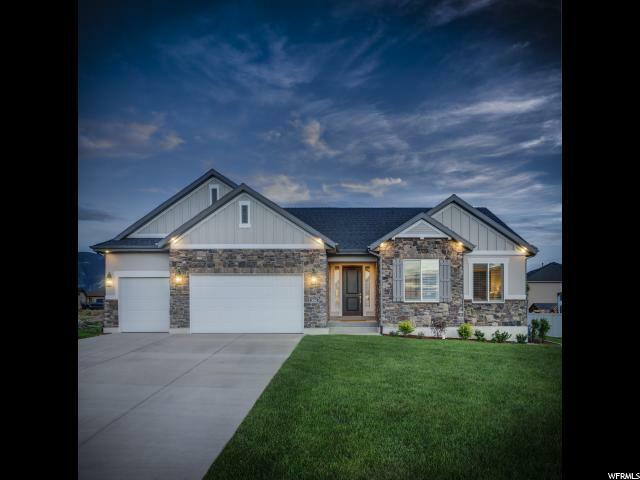 "Amazing brand new Monterey European home plan located in a great community! This home features so many amenities such as spacious bay windows, finished basement space, expanded 3 car garage with exit door, can lighting, maple cabinets with trim and hardware, adult height vanities, lockers in the mudroom, stainless steel gas appliances, hanstone kitchen counters, tile accent surrounds in the bathrooms, 2 tone paint, textured walls, modern base and casing, hardwood flooring and so much more!!!" "***PRICE REDUCED*** Wonderful updated home high on the hill. Bright open floor plan. Elegant master with fireplace, formal dining, wrap around porch. Updated carpet, and paint. Dual zone AC/Heat. Backyard has a man-made pond for your own little oasis on .5 acres. Hard to find this amount of space for this price in this area. Located on a quiet street with amazing views. Sellers are motivated." "Beautiful Pleasant View home! Open concept Kitchen with Corian counters & island seating. Spacious gathering areas with 6 bedrooms & 4 baths. Also featuring a Laundry room on both levels, a theater room and a craft/bar area. Neutral two-tone paint and updated carpeting. Large lot with plenty of additional parking for RV or other toys! Square footage provided as a courtesy estimate only Buyer is advised to obtain independent measurement." "Amazing Pleasant View Heights home located at the back of a dead end street so no thru traffic. The lot is a massive half acre. There is tons of off street parking and plenty of room for RV and more! Extra large 2 car garage with room for a workshop in the back. 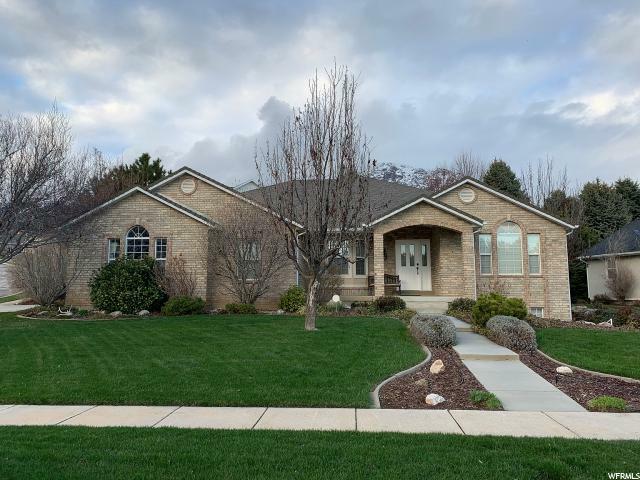 This home has so much to offer with 7 beds, 3.5 baths, nice updates throughout, carpet is only 3 years old, the whole house has UV Purifying Air System installed 2 years ago. The entire roof was replaced about 3 years ago. The outdoor water is unmetered city water from snowpack. The smart home features include a Ring Doorbell System and an Ecobee Thermostat. Other features include 2 AC units, 2 H20 heaters, 2 washers and 2 dryers (included), new commercial grade playground, trampoline, and fire pit, gas stubbed to patio grill and plenty of storage including cold storage. Nice views to enjoy from your porch! This lovely home has a warm, inviting, cozy feel but there is plenty of space to spread out. Room for everyone! Square footage figures are provided as a courtesy estimate only and were obtained from county records. Buyer is advised to obtain an independent measurement. All listing information is provided as a courtesy only. Buyer to verify all information. " 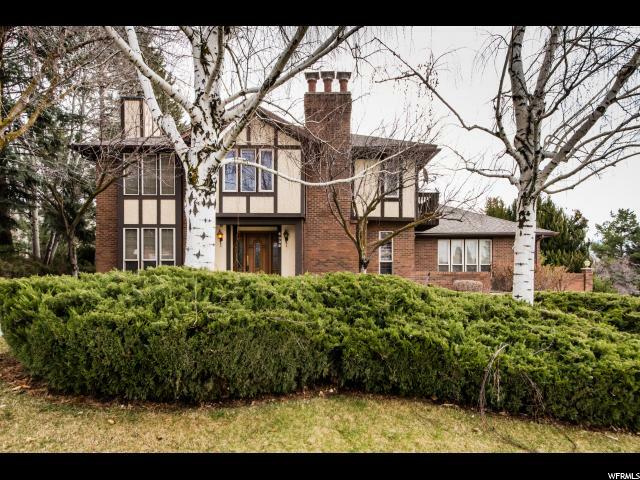 "Classic English Tudor on 1/2 acre of wooded paradise. Built by an artist with exquisite taste for classical design & using the best hand selected materials, this home will surely please. Amenities include open beamed ceiling in dramatic formal living room, formal dining room with built in china hutch, 4 fireplaces including one in the master, music room, library with ample book shelves, winding stair case, pool table room, kitchenette with built in mini fridge serves as a bar for entertaining, steam room in large tiled bath, plantation shutters, tiled kitchen is bright & cheery, trash compactor and hot water steamer, built in entertainment center, upstairs access to large rear deck, amazing yard with garden & hot tub. Over-sized 2 car garage, newer roof, inlaid brick patio, 2 furnaces/2 A/C's/Humidifier/Central Vac." "Endless views from every part of this gorgeous home and beautiful yard! 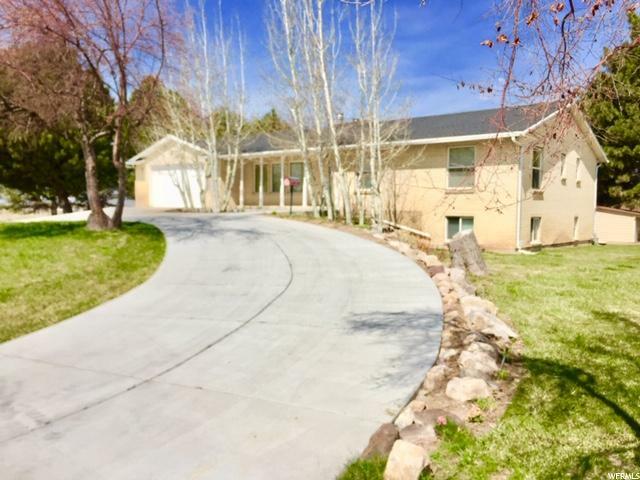 Fully fenced with RV pad, New shed, raised garden boxes, deck overlooking the valley, covered patio with NEW hot tub, and PAID for solar panels for extremely low power bills! The inside is just as amazing with an updated kitchen w/ new white cabinetry, tile floors, formal dining room, half bath and laundry on the main. 4 big bedrooms which includes the huge master suite upstairs w/dbl sinks, oversized tub, walk in shower and massive walk in closet. The basement has a mother in law with full second kitchen, lg family room, bedroom, bathroom, and lots of storage. Wow! Come and take a look today!" "New energy efficient windows and Plantation shutters throughout the house. New laminate flooring in kitchen and dining room. Large open kitchen with plenty of counter space and cabinets including 3 ovens. This beautiful kitchen has 3 stainless steel sinks and 2 garbage disposals. High efficiency 50 gallon hot water heater and 94% efficient furnace. Attached 2 car garage is insulated. House has double insulation in ceiling. New 30 year shingles on the roof. All this comes with a 720 sq ft heated, finished shop including storage cabinets and a 288 sq ft detached single car garage. Yard is fully landscaped with an automatic sprinkling system. " "LARGE PRICE REDUCTION! 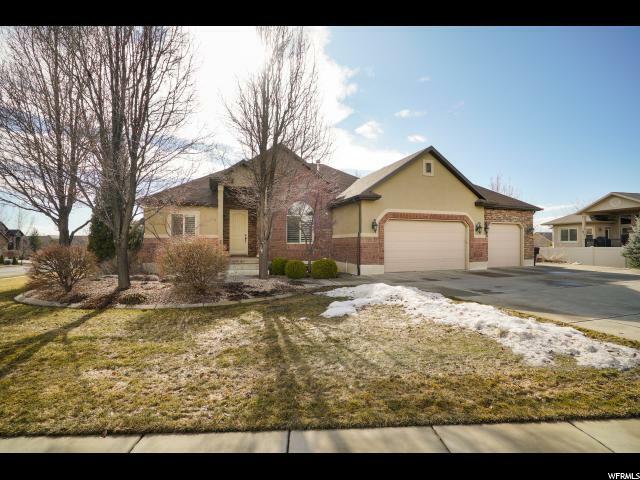 Newer Pleasant View rambler with finished basement, large kitchen with stainless steel appliances and open floor plan with lots of natural light. Fully finished walk-out basement with large family room. 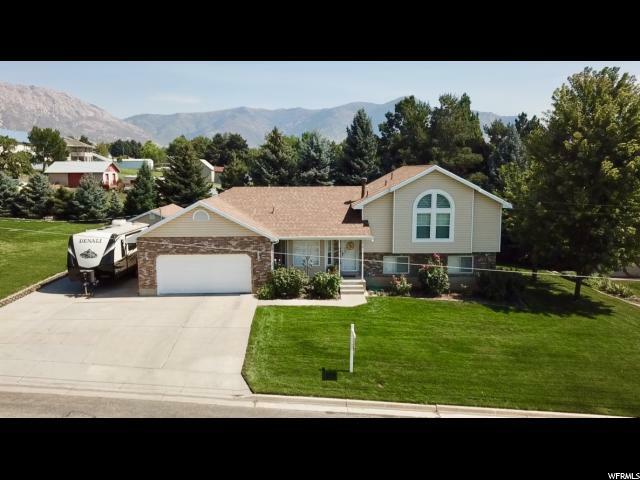 Large partially fenced lot with mountain views, plenty of storage in 3 car garage. Close to freeway access and amenities. Price previously dropped 10K to accommodate yard allowance. All measurements are per county records as a courtesy. Buyer to verify all." "A Beautiful must see rambler located in cul-de-sac. Vaulted open ceilings with neutral colors throughout. New kitchen with granite counter tops, brand new granite in bathrooms, large master room with sitting area. Heated master bathroom floor with separate tub and shower. Designated home theater area, and large game room. Beautiful entry/foyer. Large covered patio with pull down shade.Fully fenced backyard.This house has it all. Hot tub negotiable." "Beautiful, well-kept brick rambler in Pleasant View. Master bedroom with separate shower and tub. Large open spaces with vaulted ceilings, large cold storage. New water heater. Over-sized garage, RV Parking and private backyard with beautiful professional landscaping. " "This spectacular Pleasant View Rambler has had only one meticulous owner and a lifetime of memories. Located between an Elementary and High school it is a perfect place to raise a family. 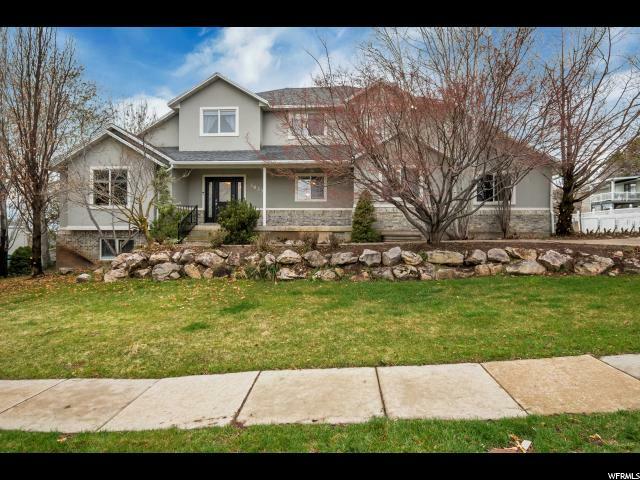 This home boast over 3200 sqft, 6 Bedrooms, 3 full bathrooms, 3 car garage sitting on over a 1/3 acre. Newly Remodeled kitchen. New upstairs common area flooring and new bedroom carpet. Roof is only 2 years old. Great entertainment room downstairs with surround sound. And you will never run out of storage between a cold storage and a extra storage room downstairs and a huge storage area above the third can garage. The yard has all the room you need to play catch or run and kick a ball. With a very large garden, chicken coop and run, dog run, fruit trees, berry bushes and a swing set and slide for the kids. Wind down at night at the built in fire pit. This is a great home and won't last long. Call for a showing now. Square footage figures are provided as a courtesy estimate only and were obtained from county records. Buyer is advised to obtain an independent measurement."